High quality window cleaning for your commercial premises or business. We not only clean the glass, but everything else as well. Window clean, clean tracks, flyscreen cleaning, wipe down window sills, mirror cleaning, sliding windows, sliding doors, double hung windows, tinted windows, french doors & more. 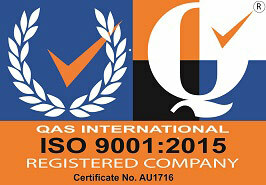 Our commitment to quality is to the highest of standards. We are ISO Certified, with inspection, monitoring and assesment systems in place including health and safety to provide a safe, effective, professional service. Our awesome product provides a shower screen cleaning service that can bring your water marked showers screens back to brand new. We will leave no stone unturned as we work to deliver the finest commercial cleaning service available in South East Queensland. Our Sole purpose can be summed up by simply stating, "we want our customers to be completely satisfied with our services". Established in 2009, Decker Commercial Cleaning has become one of Toowoomba’s booming cleaning companies, offering the quality service one should expect at an affordable price. Professional cleaning services available in Toowoomba, Dalby, Gatton, Warwick and Highfields. © 2019 Decker Commercial Cleaning. All rights reserved. Built on using & Website by Toowoomba Web Design. Established in 2009, Decker Commercial Cleaning has become one of Toowoomba’s booming cleaning companies.